Wealth screening is a powerful tool that nonprofits can use to help determine donors’ capacities to give. As a subset of prospect research, wealth screening looks at top indicators of wealth like real estate ownership, business affiliations, and stock holdings in public companies. These screenings use data to unveil an accurate estimate of a potential donor’s wealth. The process helps fundraisers locate major gift prospects hidden among the crowd. Get 200 donors wealth screened for free! Why do you use wealth screenings for fundraising? What data should you have in a wealth screening? What wealth screening tools do you recommend? What are wealth screening best practices? What are the wealth screening best practices? Major donors are a crucial source of funds for any nonprofit. As such, it’s imperative to find out who among your supporters could be ready to make a major gift to your organization. Researching your donor base first using wealth screening techniques can help you identify who among them has the potential to become a major donor. How much can a given prospect realistically donate? Once you have established an amount to expect from each of the prospects in your donor base, you can temper your fundraising expectations and set realistic goals for your nonprofit. The more you know about your supporters, the better! With the insight that wealth screening provides, you’re better equipped to accurately segment donors for targeted communications and design ask strategies around the ideal gift amount for each prospect. Simply put, tailoring your asks to each prospect makes it that much harder for them to say no. Learn more about the benefits of fundraising with wealth screening! Philanthropic indicators speak to a prospect’s affinity for charitable work and your organization. Logically, a donor who has given in the past and who has been involved with your nonprofit recently and frequently is a strong candidate for becoming a major gift donor. The strongest indicator of future giving is past giving. Donors who have given between $5k and $10k to a nonprofit are 5 times more likely to make a charitable donation than the average person. Involvement in a nonprofit demonstrates that a prospect has a vested interest in philanthropy and understands the process better than the average donor. Political giving, traceable through publicly accessible databases, can provide a window into a donor’s wealth and inclination to give. These indicators are what typically comes to mind when people think about wealth screening. Above all else, wealth markers are simply signals of someone’s financial capacity to give — just as philanthropic markers are a good indication of a prospect’s willingness to donate to charity. Real estate ownership is a great indicator of wealth. An individual that owns $2+ million worth of real estate is 17 times more likely to give philanthropically than the average person. A two-fold indicator, business affiliations say a lot about a prospect’s own wealth and giving capacity while also revealing potential professional connections for your nonprofit. Stock ownership can give you an idea of a donor’s relative wealth and potential ability to give. Learn more about the different types of wealth screening data! Get a demo of DonorSearch’s wealth screening tools! Real estate ownership is a quick and easy indicator of wealth — but it also points to an individual’s propensity to give. People who own $1-2 million in real estate are 4 times more likely to give philanthropically than the average person. Simply enter a prospect’s address into Zillow’s search field and learn the value of the property. 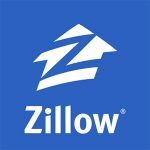 You can visit Zillow.com here. SEC.gov has a searchable database to investigate a prospect’s stock holdings. This is a tool that can provide valuable insights into an individual’s wealth. Note, however, that this database only shows public stock holdings. Ownership of private companies will not be visible here. 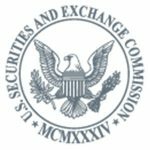 You can look through SEC.gov’s records here. 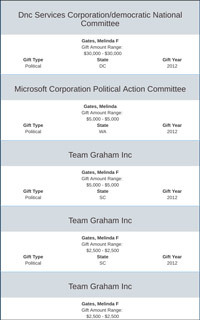 FEC.gov is another government database that allows you to discover the political giving history of your prospects. Their gift amounts can teach you how much they are capable of giving. In fact, just the act of contributing to political campaigns demonstrates a propensity to give in general: donors who have given over $2,500 in FEC contributions are 14 times more likely to give philanthropically. 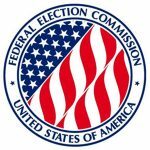 You can look through FEC.gov’s records here. Currently in its beta version, DonorSearch Giving Search is a free, online prospect research tool that gives its users access to a condensed version of DonorSearch’s philanthropic data. Simply enter a prospect’s information and the Giving Search tool will display their past giving history. You can visit the DonorSearch Giving Search tool here. Learn more about these free wealth screening tools! Take the time to clean up your database. The better your original data, the better your results. Keep track of who has been active recently. Make sure you have accurate donor home and email addresses. Pinpoint your average donation amount. Get rid of duplicate information. Have detailed and specific data entry procedures. As was mentioned before, wealth indicators are just one part of the equation. When trying to figure out who will be most likely to give to your organization, you should first look at a prospect’s philanthropic indicators. This will help you determine whether they are charitably-inclined in general and give you information about what causes they care most about. Consider segmenting your screenings into smaller, more specialized categories. This will greatly speed up processing time and also yield more targeted results. Enlisting a screening service can drastically speed up and improve the wealth screening process. But it’s important to remember that no screening company’s data is 100% perfect. As such, make sure that all of the new information you’re receiving is accurate and take the initiative to check anything that seems off. Can I see DonorSearch in action? 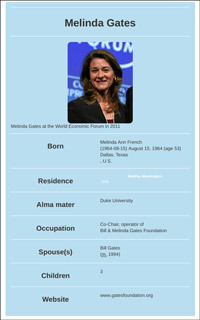 STEP 1: Go to DSgiving.com, where you can type in identifying information about any donor. STEP 2: View biographical information about your donor. 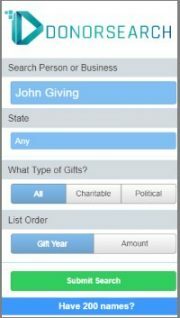 STEP 3: View your donor’s giving history. While free online resources like DSgiving are useful for small nonprofits with few major donors or as a first step for larger nonprofits, a full wealth screening service such as DonorSearch can provide much more comprehensive information complete with scoring quicker than an individual on your staff. One of the most important tools you have at your disposal when designing successful fundraising efforts is prospect research. 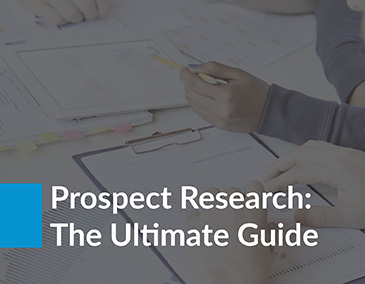 Brush up on everything there is to know with our newly-updated Prospect Research Ultimate Guide! One of the biggest reasons organizations turn to prospect research is to help them identify potential major gift donors. Major gifts play a vital role in the financial health of any organization. Discover more about major gifts and how you can successfully solicit them! 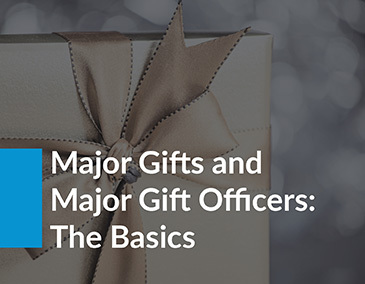 Find out more about the basics of major gifts! Looking for more information on how to plan out and implement a successful annual fund campaign? 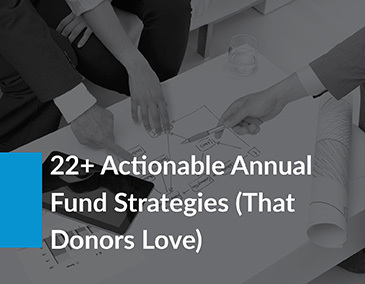 Read up on effective and easily implemented annual fund strategies your donors love. Check out over 20 strategies to make the most of your annual fund campaign! Ready to automate your wealth screening process with the best software out there? Look no further for the perfect software! 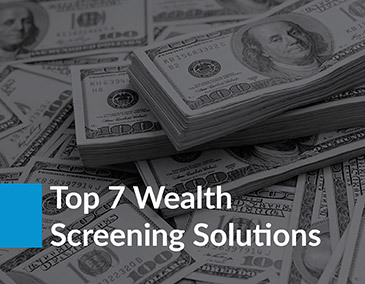 Check out Double the Donation’s ranking of the top 7 wealth screening software for nonprofits. Find the perfect wealth screening software solution for your nonprofit!